“Lead your Z: Steel Soldiers into the next century rebooted for the rocket fueled fans of the classic hard-core strategy game. 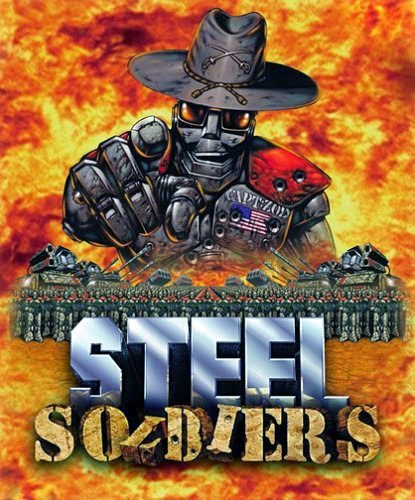 In the bloody aftermath of ‘Z’ comes Z: Steel Soldiers. All your favourite strategies and gameplay from the classic version, with graphics that have powered into the 21st century, vivid 3D landscapes, and a state of the art engine that brings your game to life. Meet the new breed of robots, with a taste for war and a warped sense of humour. Z: Steel Soldiers – you’ve never had it so good!” When you take control of your Steel Soldiers unit, you’d better hit the ground running, as you take some superb war machinery straight into the heat of battle. You can start to build up your forces when this firefight is over. Right now you’d better just dig in! * 30 Distinct, lush levels spread across 6 unique worlds. * Air, ground and sea units ranging from WW2 based vehicles through to modern jet fighters. * State of the Art 3D Graphics for mobile, packed full of visual providing intense and engaging game-play. * Real-time environment forces, both local and world forces affect the environment to such detail that even plumes of smoke are split as helicopters come soaring through. * 9 different robots each with unique abilities.